Sibi Story in Old Tamil Literature! Did Tamil Chozas come from North? Chera, Choza, Pandyas are the three great kingdoms of ancient Tamil Nadu. We know for sure they existed at least 2500 years ago. Valmiki, Vyasa, Bodhayana, Katyayana, Kautilya, Asoka, Karavela, Kalidas, Varahamihira, Dandi and others mention one or the other Tamil dynasties. All the Tamil kings claimed links with Surya clan of Sri Rama or Chandra clan of Pandavas. Some even claimed link with Agni clan. We find it more in later literature, inscriptions and copper plates. Some people thought they were all boasting to raise their profile. But the story of Sibi is found in the old part of 2000 year old Sangam Tamil Literature! Chozas who ruled from the rice bowl of Tamil Nadu claimed that Sibi of North West India was one of their fore fathers. Story of Sibi is in Mahabharata and it gained currency in later literature. Sibi was son of King Usinara and queen Madhavi. He was a righteous king. Indra and Agni wanted to test his integrity and so they took the form of birds hawk and dove. The hawk chased the dove and it sought protection from Sibi. Sibi was ready to give the hawk anything except the dove. But the hawk (Indra) was so adamant demanded either the dove or equal measure of meat from the king. When the king cut his flesh and placed it on one pan and the dove on the other pan, it was never equal. The king himself mounted the balance to give himself for the sake of the dove. But Indra and Agni revealed themselves and blessed him. There is another story of Sibi’s eye donation in the Buddhist Jataka. 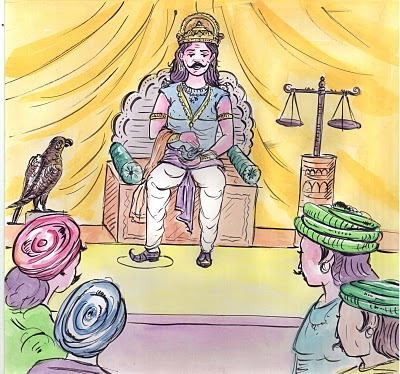 This story is sung by several poets and they are in Purananuru verses 37, 39, 43 46 and 228. Sibi’s wards were called Saibya in Sanskrit. Sangam Tamil poets Tamilized this word and called the Chozas Sembian. This word is in other Sangam books Aka Nanuru (36) and Natrinai (14). 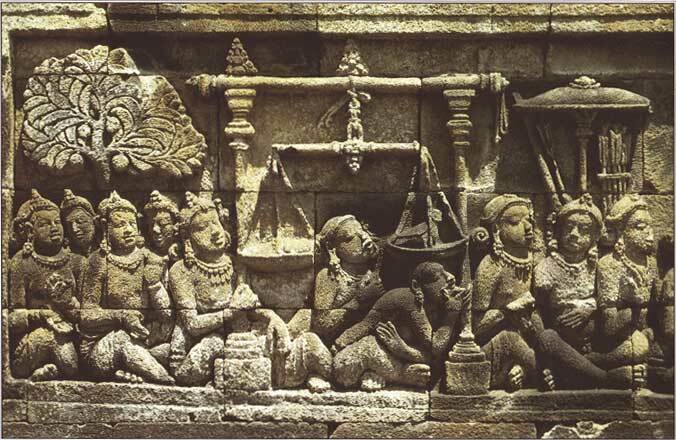 The story of Sibi Chakravarthy is so famous that it was sculpted in the Barhut, Nagarjunakonda ,Amaravati bas-reliefs and Borobudur in Java,Indonesia (see Boropudur sculpture above). 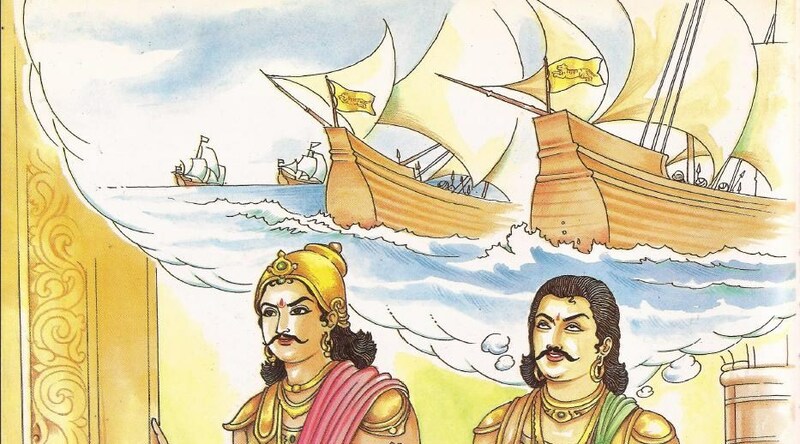 Tamil epics Silappadikaram and Manimekalai gave more details about this link. Since the oldest part of Sangam Tamil literature mentions it no one can reject it. The link is confirmed with other stories as well. One of the Chozas known as Thodithol Sembian is credited with shooting down three flying forts. We have the same story attributed to Lord Shiva. Sage Agastya ordered him to install 28 day Indra Festival in Tamil Nadu. Another king Musukunthan, son of Mandhata, helped Indra to save his city from the attacks of demons. 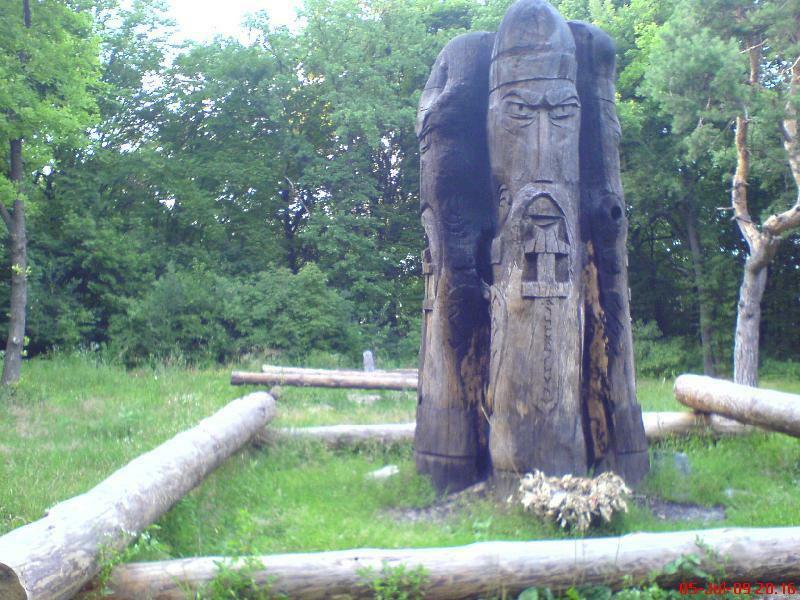 Indra gave him several magical gifts!One Choza king was said to have ruled the mythical paradise on earth Uttara Kuru. Manu Neethi Choza who followed Manu’s rules verbatim made his son to die under the chariot wheel because he killed a calf under his chariot wheel. The cow came all the way to palace and rang the bell to seek justice. 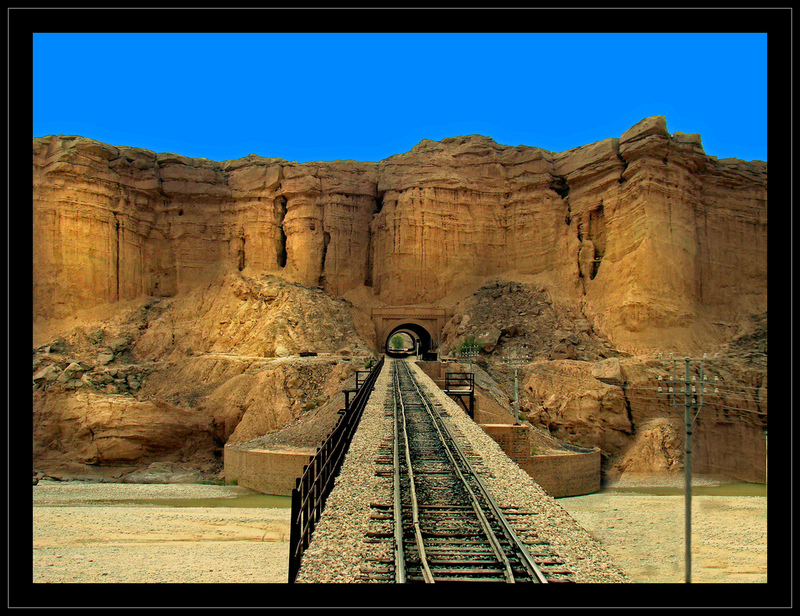 City of Sibi in Pakistan. Sibi story was known to all the people in India. It is strange that the Chozas who ruled from the peninsular India claimed link with him. 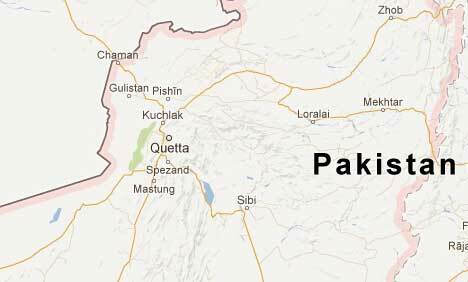 This raised the question whether Chozas had their origin in North West India. Anyone who argues they might have migrated from south to north must remember all the names are in Sanskrit and already in Hindu epics and Puranas (mythology). This Sibi story in the old part of 2000 year old literature is another nail in the coffin of Aryan Dravidian race theory. All the three dynasties claimed close links with ancient Hindu dynasties of north. 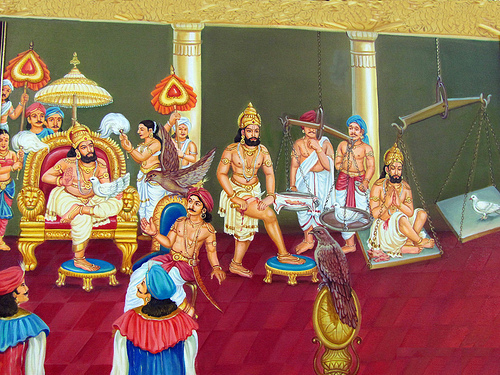 Sri Rama represented Surya clan and Pandavas represented Chandra clan. Famous tamil epic begins with a prayer to Sun (Surya), Chandra (moon) and Rains. It may represent Chozas, Pandyas and Cheras. Ancient Tamils considered the whole country as one and all were their brothers. Contact swami_48@yahoo.com; pictures are taken from different sites;thanks. 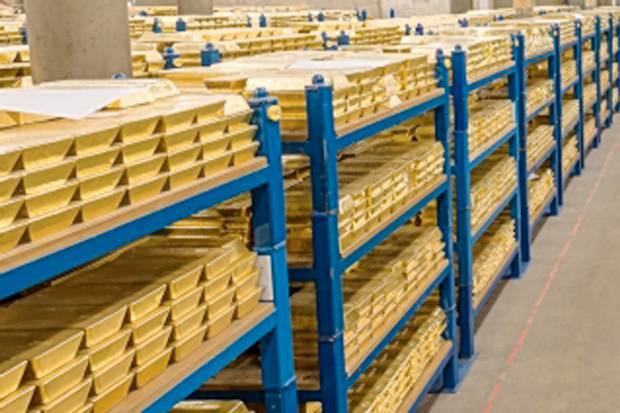 Tons of Gold: 400,000 bars! 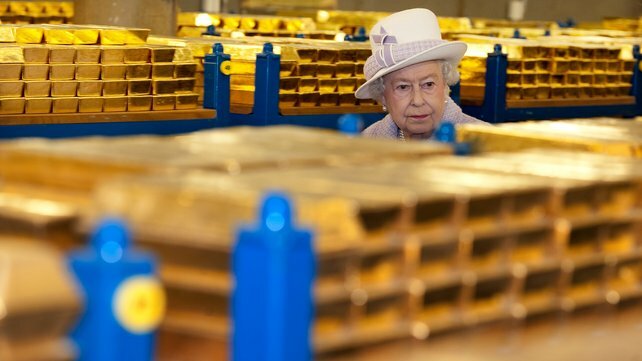 Bank of England in London is giving you an opportunity to see loads of gold from your desk. People who visit London used to go to Thredneedle Street in the heart of the city to see the bank of England vault. Here afterwards you can see all the 400,000 gold via internet on you computer. 400,000 bars each weighing 13 Kilos (29 pounds)! They are all stacked up in rows like bricks for building work! This building is known as Old Lady of Thread needle Street. Monetary Policy Committee meets to set interest rate every month. The bank has occupied this site from 1734. Now anyone can get a free application. It is available free on the Apple store and Google play market place. It includes 360 degree panoramic tours. 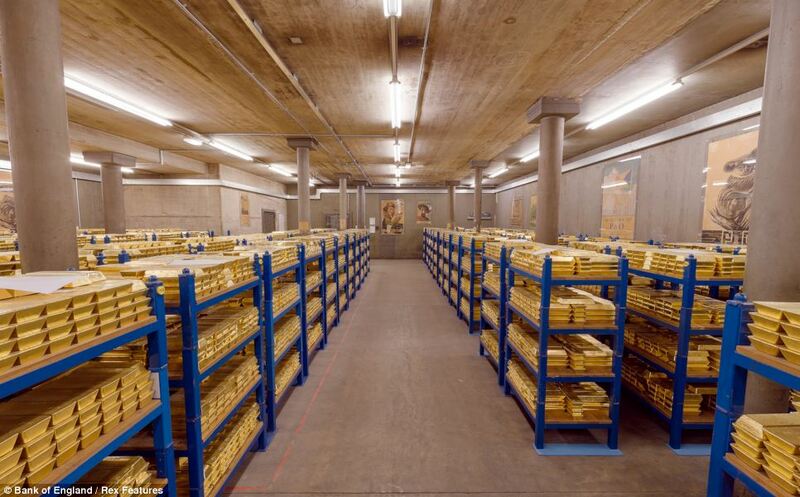 You can visit the bank’s vault, which contains some of its vast stock of currency notes. You may visit Bank of England website for more details. Indian Kings had such treasures once. They were all plundered y foreign invaders. Gemmologists who visited Vijayanagar Empire were amazed at Krishna Devaraya’s treasure and could not estimate his wealth. Even today India is the richest country in the world if you take it into account the gold held by individuals. The largest gold coin was issued by India. The largest Golden Temple in the world is in Tamil Nadu. Indian treasures are in the museums of London, Tehran, Paris and in private hands. Rs. 1500 crore Gem studded Globe ! ஒவ்வொன்றும் 13 கிலோ எடை (29 பவுண்டு)! நாலு லட்சம் தங்கக் கட்டிகள் வேண்டுமா? பார்க்க மட்டும் தான்! லண்டனுக்கு வருவோர் ‘த்ரெட் னீடில் Thredneedle Street (ஊசி நூல் தெரு) ஸ்ட்ரீட்’ டுக்குப் போய் ‘’பாங்க் ஆF இங்கிலாந்து’’ Bank of England பொக்கிஷ அறையில் உள்ள தங்கக் கட்டிகளைப் பார்ப்பது வழக்கம். 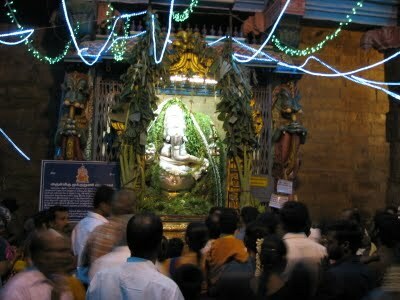 இனிமேல் லண்டனுக்கு வராமலேயே நீங்கள் பார்க்கலாம். வீட்டில் கம்ப்யூட்டரும் இன்டெர்னெட்டும் (Internet) இருந்தால் போதும். இங்கிலாந்து வங்கி என்பது இந்தியாவின் ரிசர்வ் வங்கி போன்றது. அரசாங்கத்தின் செல்வமான தங்கக் கட்டிகள் மற்றும் புதிது புதிதாக அடிக்கும் கரன்ஸி நோட்டுகள் எல்லாம் இங்கே மலை போல குவிந்திருக்கும். இப்போது இதை ஆப்பிள் அல்லது கூகுள் அப்ளிகேஷன் மூலம் (Apple Store, Google play market place; 360 degree panoramic view) பார்க்கலாம். அப்ளிகேஷன் களை இலவசமாகப் பெறலாம். இங்கிலாந்து வங்கியின் கதவுகள் குண்டு துளைக்க முடியாத கதவுகள்! பின்ன என்ன? இவ்வளவு தங்க கட்டிகளை வைத்துக்கொண்டு, உதைந்தால் திறக்கக்கூடிய மரக் கதவா போட்டிருப்பார்கள்? பத்து பவுண் நகைகளைப் பாதுகாக்கவே அரிசிப்பானைக்குள்ளும் தலையணைக்குள்ளும் ஒளித்துவைக்கிறோம். ஒவ்வொரு மாதமும் வங்கியின் தலைவர்கள் இங்கே கூடி வட்டி விகிதத்தை நிர்ணயிப்பார்கள். அந்த அறிவிப்பு வரும் வரை நிதித் துறையில் உள்ளவர்களும், பங்கு மார்க்கெட்காரர்களும், என்னைப் போல வீட்டுக்கு மார்ட்கேஜ் (வீட்டின் பெயரில் வாங்கிய கடன்) பாக்கி உள்ளவர்களும் வயிற்றில் நெருப்பைக் கட்டிக் கொண்டு நிற்போம். ஆனால் கடந்த ஒரு வருடமாக வட்டி விகிதம் மிகவும் குறைவு. குளிர்ச்சியான செய்தி. வங்கிக் கூட்டம் நடக்கும் அறையே ராஜ சபை போல இருக்கும். ஒரு காலத்தில் இந்தியாவில் ஒவ்வொரு ராஜ சபையிலும் இப்படித் தங்கம் குவிந்திருந்தது. உலகிலேயே பெரிய தங்க நாணயத்தை வெளியிட்டதும் நாம்தான்! திருவனந்தபுரம் பத்மசுவாமி கோவில் புதையல் பற்றிப் படிதவர்களுக்கு இதெல்லாம் கொசுறு! விஜயநகர சாம்ராஜ்யத்தின் செல்வத்தை மதி[[இட வந்தவர்கள் அதை மதிப்பிட முடியமல் மலைத்து திரும்பிப்போய்விட்டார்கள். கஜினி முகமது, சோமநாதபுரத்தைக் கொள்ளையடித்து சிவன் சொத்தைக் கொண்டுபோய் கஜின் நகரம் முழுவதும் தங்கக் கதவு போட்டானாம். இந்தியாவின் அபார, அபூர்வ செல்வம் பற்றி நான் எழுதிய ஏழெட்டு கட்டுரைகளின் தலைப்பு கீழே உள்ளது. படித்தால் மலைத்துப் போவீர்கள். 1.கொலவெறி வைரம் 2.ஆயிரம் கோடி ரூபாய் ரத்தின உருண்டை 3.அமுதசுரபி எங்கே? மயிலாசனம் எங்கே? சங்கப்பலகை எங்கே? 4.Indian Wonder: Largest Golden Temple in the World 5.Hindus need an Indiana Jones 6.Krishna’s diamond in USA? 7.Gem stones in Kalidasa and Tamil Literature 8.Indiahhhhhh….. Richest country in the World (Parts 1 to 6) 9.Largest gold coin 10.தங்கம் விலை உயருமா? Gramineae or Poaceae family has 11,000 plants including paddy and wheat. Human beings’ staple food comes from this family. It has got lot of grass varieties in this family. Hindus used several plants of medicinal properties in their daily puja or religious rituals. Two grasses known as Dharba (Kusa) and Durva ( Cynodon dactylon) are used in their main rituals. Durva is the favourite plant of Lord Ganesh. He is praised as Durva priyaya Nama: In the Navagraha Homa, Ketu is propitiated with this grass in the Homa (fire). Lord Ganesh is the deity for planet Ketu. Durva grass has many medicinal properties. People from olden times used it as medicine. It is good for lungs and skin. It can flush out the impurities from blood. There is a story about Durva grass. Lord Ganesh had to fight with a demon called Analasuran (Fire Demon). As soon as he swallowed the demon Vinayaka’s stomach started burning. When he ate Durva grass the fire subsided. Dr R Nagasamy, historian and former vice chancellor of Kancheepuram University and Director of Archaeology gives some interesting detail about this Durva grass in his Tamil book ‘Yavarum Kelir’. This grass is considered the King of Grass. So the kings used it in their coronation ceremony. Hymns in Sanskrit are recited at the coronation: ‘’Oh, Durva grass. Like you are the best among the grasses, let me be the best among men’’. The word for Durva in Tamil is Aruku, a synonym for Sun. Sanskrit word fro sun is also Arka. Arka= Greek word Argos and Sanskrit word Bargo/Light are cognates. 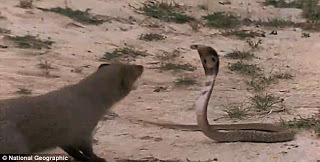 Mongoose and snake are born enemies. The minute they meet they start the fight and one tries to kill the other. It is always a fight to death. In most cases the snake is killed. 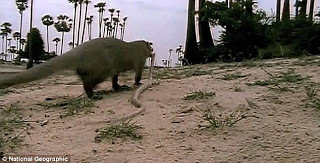 It is said that the mongoose will run back to grass land full of Durva grass and roll and come back with fresh energy. Such is the power of rejuvenation of Durva grass. Whoever offers to me with devotion a leaf, a flower, a fruit or water, that offering of love, of the pure of heart I accept. So Hindus use grass, leaves, flowers and water to do puja. A Tamil poet known as Kapila (another name of Lord Ganapathy) also said what Krishna said in Bhagavad Gita ( See Puranannuru verse 106). He used the words grass, flower and Erukku, a dry land bush. Sri Lankan Tamil Hindus use this grass more in their ceremonies. When they send their children to school for the first time they dip the grass in milk and give it to the children. During wedding, they bless the couple with rice with this grass. Tamil language has a phrase to bless any good deed: Let it spread like banyan tree and root like Aruku (Durva). This grass is a symbol of revival like the phoenix bird. It can grow anywhere anytime. This grass is the favourite food of animals such as horse, elephant, rabbits and wild boars. They run very fast. This grass acts like petrol for those animals. Germans use the juice of grass in their breads. We can also use this grass in our food items and side dishes. 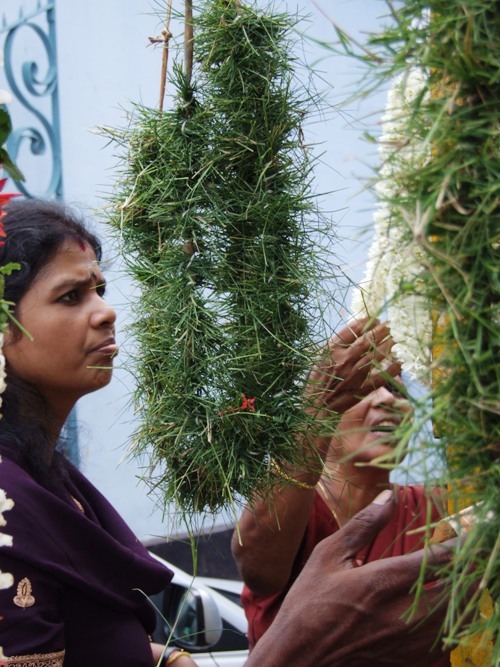 In all the Ganesh temples of Tamil Nadu devotees bring garlands made of this grass. Read my earlier articles on medicines: 1.Why Do Hindus Practise Homeopathy? 2.Copper Kills Bacteria 6.Amazing Medical Knowledge of Tamils 3.OM boosts Brain Power 4.Prayers Good for Hearts, says scientists 5.Tomatoes Prevent Cancer 6.Head towards North is Wrong 7.Miracles by the Blind and Oldest Organ Donation 8.The Tortoise Mystery: Can we live for 300 years? 9.Scientific Proof for Shamudrika Lakshnam 10.Bhishma: First man to practise Acupuncture 11.How did a Pandya King get a Golden Hand? 12. Indian Wonder: The Banyan Tree + 570 articles on other subjects. அருகம் புல் ரகசியங்களை இந்துக்கள் ஆதியிலேயே அறிந்திருந்தனர். நெல்லும் புல்லும் ஒரே வகைத் தாவரம் தான். ‘கிராமினே’ என்ற குடும்பத்தைச் சேர்ந்த 11,000 வகைத் தாவரங்களில் தர்ப்பைப் புல்லுக்கும் அருகம் புல்லுக்கும் மட்டுமே தனி இடம் கொடுத்தனர். பிள்ளையாருக்கு ஏற்றது அருகம் புல். நவக் கிரக ஹோமங்களில் கேது கிரகத்துக்கு சாந்தி செய்யும்போது அருகம் புல்லை ஹோமத் தீயில் இடுவர். கேது கிரகத்துக்குப் பிள்ளையார் அதி தேவதை. மார்கழி மாதத்தில் வீட்டு வாசலில் அருகம்புல்லையும் சாணியில் நட்டுவைப்பர். அருகம் புல் இருந்தால் சாணியில் புழுப்பூச்சிகள் வராது. அருகம் புல்லுக்கு வடமொழியில் தூர்வா என்று பெயர். இப் பெயர் கணபதி மந்திரங்களிலும் உபநிஷத்திலும் வருகிறது. பிள்ளையாரை தூர்வாப் ப்ரியாய நம: என்று சொல்லி வழிபடுவர். கடவுள் பேணேம் என்னா’’ என்று கூறுகிறார். புல், இலை, எருக்கு ஆகிய எதைப் போட்டு பூசித்தாலும் கடவுள் வேண்டாம் என்று சொல்லாது என்று கபிலர் கூறியதை எனது ‘’புறநானூற்றில் பகவத் கீதை’’ என்ற கட்டுரையில் ஏற்கனவே கொடுத்துவிட்டேன். இங்கு பிள்ளையாரின் ஒரு பெயரான ‘’கபிலர்’’ என்ற பெயரைக் கொண்ட புலவர், புல், இலை, எருக்கம் என்று கூறுவதைப் பார்த்தால் இது மூன்றும் பிடித்த ஒரே கடவுள் பிள்ளையார்தான்! புல் என்பது அருகம் புல்லையும், பத்திரம் என்பது விநாயகருக்குப் பிடித்த 21 வகை இலைகளையும், எருக்கம் என்பது எருக்கம் பூவையும் குறிக்கலாம். மாணிக்கவாசகர் புல்லாகிப் பூண்டாகி என்று பாடுவதிலும் பொருள் உளது. இன்னொரு உண்மை என்னவென்றால் இறந்தவன் மறுபிறப்பு எடுப்பது எப்படி என்று கூறும் உபநிஷத்துகள் நமது ஆன்மா மழை மூலம் புல்லை அடைந்து, பசுவின் வயிற்றை அடைந்து பாலாக மாறி தாயின் வயிற்றில் கரு மூலமாகப் புகும் என்றும் சொல்லப்பட்டிருப்பதும் கவனிக்கப் படவேண்டியது. பாம்பும் கீரியும் பரம எதிரிகள். இரண்டும் ஒன்றை ஒன்று பார்த்தால் தாக்கிக் கொல்லாமல் விடா. பாம்பு கடிக்கும் போது விஷத்தைப் போக்குவதற்காக ஒவ்வோரு முறையும் கீரி, அருகம் புல் மீது படுத்துப் புரண்டு சக்தி பெறும் என்பதும் கவனிக்கத்தக்கது. அருகம் புல் பெயரிலேயே சக்தி கொடுக்கும் சூரியன் பெயரும் (அருகன்) இருக்கிறது. அருகன்=சூரியன்=ஆர்கோஸ் (கிரேக்கம்)= பர்கோ தேவஸ்ய( காயத்ரி மந்திரம்) எல்லாம் ஒன்றுக்கு ஒன்று தொடர்புடைய சொற்கள். இலங்கை மக்களும் நாட்டார் சமூகத்தினரும் அருகின் பெருமையை நன்கு அறிவர். இலங்கையில் குழந்தைகளுக்கு ‘’பால் அரிசி’’ வைப்பார்கள். பள்ளிக்குப் போகும் முன் குழந்தைகளுக்கு பாலில் அருகம் புல்லைத் தோய்த்து வாயில் விடுவர். கல்யாண காலங்களில் மணமக்களை வாழ்த்தி அருகரிசி போடுதலும் உண்டு. மிருகங்களில் பலம் வாய்ந்ததும், வேகம் மிக்கதும், பலன் தருவதும் சாக பட்சிணிகள் தான்; அதாவது சைவ உணவு சாப்பிடுபவையே; .யானை, குதிரை, காண்டாமிருகம், பசு ஆகிய அனைத்தும் சைவ உணவு, குறிப்பாக அருகம் புல் முதலியனவற்றை சாப்பிடுபவை. குதிரை, முயல், காட்டுப் பன்றி ஆகியன அருகம் புல்லை விரும்பிச் சாப்பிடும். இவை அனைத்தும் அபார வேகம் மிக்கவை. அத்தனைக்கும் அருகம் புல் ‘பெட்ரோல்’ மாதிரி. நோய் வந்தால் பூனை, நாய், கோழி ஆகியன கூட அருகம்புல்லைக் கடித்துத் துப்புவதைக் காணலாம். அருகம் புல் பற்றிய புராணக் கதையும் கூட அதன் குணத்தைக் காட்டும். அனலாசுரன் என்பவன் நல்லோர் அனைவர்க்கும் துன்பம் செய்தான். எல்லோரும் பிள்ளையாரை வேண்டவே அவர் அனலாசுரனை விழுங்கிவிட்டார். பெயருக்கு ஏற்றவாறே அவன் அவர்க்கு வயிற்றில் அனலை உண்டாக்கி எரிச்சல் தரவே, பிள்ளையாரும் அருகம் புல்லைச் சாப்பீட்டே குணம் அடைந்தார். அருகம் புல் சாற்றை காலையில் அருந்துவது நல்லது. இது மலச் சிக்கல், உடலில் உள்ள விஷம் ஆகியவற்றை நீக்கும்.தோல் நோய்கள், மார்பு, நுரை ஈரல் தொடர்பான நோய்கள், ஜனன உறுப்புகள் சம்பந்தமான நோய்களைக் குணப்படுத்தும். ஜெர்மனி போன்ற நாடுகளில் புல் சாற்றைக் கலந்தும் ரொட்டி செய்கிறார்கள். மக்கள் அதை விரும்பி வாங்குகிறார்கள். நாமும் அருகம் புல் தோசை, சப்பாத்தி, ரொட்டி ஆகியவற்றை செய்யலாம். புல் வகைகளை உணவாக உட்கொள்ளுதல் பற்றி தனி புத்தகமே ஆங்கிலத்தில் இருக்கிறது. ஒரு வேளை ஆங்கிலப் புத்தகத்தில் ஆங்கிலேயர் சொன்னால் தான் நம்மவர்களுக்குப் புரியும் போல இருக்கிறது. பிரதமர் இந்திராகாந்தி வெளிநாட்டுக்குச் சென்றபோது அவருக்கு பரிசாக அளித்த கம்பளம் இந்தியாவில் செய்யப்பட்டது (மேட் இன் இண்டியா) என்று எழுதப்பட்டதை அவரே ஒரு கூட்டத்தில் குறிப்பிட்டார்.அது போல அருகம்புல்லும் ‘பாரீன்’ சரக்காக வரும் நாள் வெகு தொலைவில் இல்லை. 1.டாக்டர் முருகனும் பேஷன்ட் அருணகிரிநாதரும் 2.இளநீர் மகிமையும் தென்னையின் பெருமையும் 3.தக்காளி ரசத்தின் மகிமை 4.Why Do Hindus Practise Homeopathy? 5.Copper Kills Bacteria 6.Amazing Medical Knowledge of Tamils 7.நெல்லிக்காய் மகிமை: அவ்வையாரும் ஆல்பிரூனியும்,அருணகிரிநாதரும் 8.OM boosts Brain Power 9.Prayers Good for Hearts, says scientists 10.யானைக் காப்பி 11.ஒருவேளை உண்பான் யோகி 12.Tomatoes Prevent Cancer 13.Head towards North is Wrong 14.Miracles by the Blind and Oldest Organ Donation 15.The Tortoise Mystery: Can we live for 300 years? 16.Scientific Proof for Shamudrika Lakshnam 17.Bhishma: First man to practise Acupuncture 18.வடக்கே தலை வைக்காதே 19.How did a Pandya King get a Golden Hand? + 570 articles on other subjects. Contact: swami_48@yahoo.com; pictures are not mine. ‘’Hallelujah! Singing in a choir is as good as Yoga’’ is the title given by the newspapers. ‘’Scientists say chanting the Hallelujahs of the No.1 hit can be as good for the heart as a Yoga session. That is because singing helps us to control our breathing and regulate our heart beat and pulse. Scientists of Gothenburg University made this discovery after asking a group to perform three different choral exercises—monotone humming, singing a hymn and chanting a slow mantra—while their heart rate was monitored. The results revealed the music’s melody and structure was directly linked to the cardiac activity of the choir. The next task for the researchers is to measure how music affects the body in biological terms, said Dr Vickhoff. He reckons songs could be used to treat people with breathing difficulties. Bhajan means singing a hymn or reciting God’s name loudly with the accompaniment of musical instruments. In some Bhajans Lamp dance and Stick dance are also included. This type of singing will fall under the category of choir singing and group singing in the churches. It is good to know that those who do Bhajans or Thevaram recitation are strengthening their hearts physically and spiritually. The researchers will soon find out that music also has the same effect. (This article is translated in to Tamil and posted: London Swaminathan). 24 Bhajan groups in California (USA) joined together for a marathon Bhajan session. லண்டன் மெட்ரோ பத்திரிக்கையில் 2013 ஜூலை 9ஆம் தேதி ஒரு சுவையான செய்தி வந்துள்ளது. கூட்டுப் பிரார்த்தனை செய்வது உடலுக்கு நல்லது.சுவீடனிலுள்ள கோதன்பர்க் பல்கலைக்கழகம் இந்த ஆராய்ச்சியை நடத்தியுள்ளது. எல்லோரும் கூட்டாக சேர்ந்து உரத்த குரலில் பாடுவது இருதயத் துடிப்பையும் நாடித் துடிப்பையும் ஒழுங்குபடுத்துகிறது. பாடுவதே நல்லது. அதிலும் கூட்டாகப் பாடுவது இன்னும் நல்லது என்று அறிவியல் அறிஞர்கள் சொல்கிறார்கள். Sri sathya Sai Baba who made Bhajan a household name. விஞ்ஞானிகள் ஒரு தொண்டர் குழுவை அமைத்து மூன்று வகையான வெவ்வேறு பாடும் பணியைக் கொடுத்தனர். முதலில் தனித் தனியே வாயை மூடிக்கொண்டு குரல் எழுப்பச் சொன்னார்கள் (ஹம் செய்வது அல்லது ரீங்காரம் செய்வது). இதற்கு அடுத்த படியாக ஒரு துதிப் பாடலைப் பாடச் சொன்னார்கள். கடைசியாக ஒரு மந்திரத்தை மெதுவாகச் ஜெபிக்கச் சொன்னார்கள். ஒவ்வொரு முறையும் குழுவின் நாடித் த்டிப்பும் இருதயத் துடிப்பும் கணக்கெடுக்கப்பட்டது.அப்போது இருதயத்தின் செயல் பாட்டூக்கும் பாடும் முறைக்கும் தொடர்பு இருப்பது கண்டுபிடிக்கப்பட்டது. நீண்ட சொற்கள் கொண்ட பாட்டுக்களைப் பாடுகையில் மூச்சை அடக்கி யோகா செய்யும்போது என்ன பலன்கள் கிடைக்கிறதோ அந்த அளவுக்கு நற்பலன்கள் கிட்டுவதாக டாக்டர் ஜான் விக்காப் கூறுகிறார். கோதன்பர்க் பல்கலைகழக ஆய்வுக்குழுத் தலைவர் டாக்டர் விக்காப் பேசுகையில் அடுத்தபடியாக இசை மூலம் உடலில் ஏற்படும் மாற்றங்களை ஆராயப்போவதாகக் கூறினார். மூச்சுவிடக் கஷ்டப்படுவோருக்கு பாட்டு சிகிச்சை கொடுத்தால் நால் குணம் கிடக்கும் என்று அவர் நம்புகிறார். சுருக்கமாகச் சொல்லப்போனால் பஜனை செய்வது நல்லது, கூட்டுப் பிரார்த்தனை செய்வது நல்லது. சுவாமி சிவானந்தா முதல் சத்ய சாய் பாபா வரை பரப்பிய பஜனை புகழ் பெறும் காலம் வந்துவிட்டது. திருப்புகழ் பஜனையும், தேவாரக் கூட்டுப் பிரார்த்தனையும் பாட திட்டத்தில் இடம்பெறும் காலம் வந்துவிட்டது! நமப் பார்வதி பதயே:— ஹர ஹர மஹாதேவா! கோவிந்த நாம சங்கீர்த்தனம் கோவிந்தா, கோவிந்தா! Oldest Tamil book Tolkappaiam dated to 1st century BC mentions Varuna as one of the four Gods allocated four different land divisions of ancient Tamil country. This raised eye brows of many people because Varuna is not mentioned much in Tamil literature. Indra is mentioned from the oldest to the latest literature which I gave in my last post. Agni, though not mentioned directly is mentioned in the Vedic rites of Brahmins in Tamil literature. 2000 year old Sangam Tamil literature praised the Brahmins as ‘’worshippers of three fires’’ (Muth Thee). And like I mentioned in my post on Indra, Agni is worshipped by Tamils in the form of Subramanya, who the Tamils called Murugan. The very Tamil word given to him in the oldest Tamil book is Seyon=Reddish. Agnijathar and Agni Bhu are few of Lord Murugan’s popular names. Agnijathar means Fire Born. Lord Skanda was born from the fire of Lord Shiva’s Third Eye. Now let us look at Varuna. Varuna in the Vedas is a powerful god. He is the guardian of cosmic order (rta=rhythm=ruth=truth). Varuna is in charge of the oceans, water sources and rains. During times of drought Varuna Japa (Prayers to Varuna) is done. His vahana (vehicle) is shark fish or crocodile. Tamils believed his control over rains and worshipped him for rains. Oldest Tamil book Tolkappiam says he is the god of littoral areas/Neithal. Seaward people and fisher men worshipped him. At lower level Varunan is in charge of the direction West where as Indra controls East. In Persian literature Varuna is the most powerful God. Mitra and Varuna are paired in Vedic hymns. This led to the belief of interpreting them as Day and Night, Sun and Moon, Light and Dark and Positive and Negative energy. Tamil saint Agastya is considered son of Varuna and Urvasi. This brings Varuna closer to Tamils. Agastya was the one who made a grammar for Tamil language. Barathavars are the people of the sea. They would not go to sea for fishing on full moon days. This coincides with the Vedic link of Varuna with the moon and Mitra with the sun. Barathavars may be related to Bharats of Rig Veda. But this requires further research. Varuna is associated with sea in Rig Veda (RV I-25) in many places. Tamils used to plant the Shark bone in the sand on the sea shore and do Puja with flower garlands. They drink toddy extracted from palm and paddy. This happened on the full moon day. This confirms its Vedic origin: 1.Association with shark/sea monster2.Association of moon/full moon day 3.Association with sea 4. Association of the clan name bharats and 5.Confirmation of Varuna as Tamil God by Tolkappiam(Porul.1-5). He used the Sanskrit name Varuna. The Sanskrit word for sea Vaaranam has its origin in Varunan. Pattinappalai lines 86 to 93 gives us the above information. Read my earlier post ‘’Indra in Oldest Tamil Literature’’. Tamil’s greatest contribution to the world of literature is a book called Tirukkural. Tirukkural means a book of sacred couplets. There are 1330 couplets divided in to three chapters Dharma/virtue, Artha/wealth and Kama/love (Aram, Porul, Inpam in Tamil). They deal with all aspects of human life. One who reads it today would be surprised at its freshness and relevance to our own problems today. It was written by Valluvar 1500 years ago. He also praised Varuna without naming him. He placed the chapter on RAIN as the second one, next to GOD/Prayer. ‘’If rains fail, festivals of the year and the daily worship of the gods will cease’’. I interpret it as the Sea festival to honour Indra and Varuna. The worship he mentions is the worship of Varuna. It is to be noted that he used the Sanskrit word Puja ( Pusanai in Tamil) in this couplet and in the very next couplet he jumps to the Bhagawad Gita phrase Dhana and Tapas (Dhanam, Thavam in Tamil). He boldly used the Sanskrit words to start his couplet, which was not practised during Sangam period. I have given umpteen examples in my previous 570 + posts that the Aryan Dravidian Race theory is a fraudulent one that was imposed by vested interests. This Varuna worship in the southern most part of India also debunks the race theory. Swami_48@yahoo.com; Pictures are taken from various sites. Those who use my articles are requested to give full credit to the blog or the author London Swaminathan.Thanks. தமிழில் கிடைத்த பழைய நூல் தொல்காப்பியம். பெரும்பாலான அறிஞர்கள் இதை கி.மு அல்லது கி.பி. முதல் நூற்றாண்டில் வைக்கின்றனர். கார்த்திகேசு சிவதம்பி, வையாபுரிப் பிள்ளை போன்றோர் போல நானும் இதை கி.பி. ஐந்தாம் நூற்றாண்டில் வைத்துள்ளேன். (தொல்காப்பியர் காலம் பற்றிய எனது (ஐந்து பகுதிகள்) கட்டுரையில் காண்க). ரிக் வேதத்தில் வருணன் மிக முக்கியமான கடவுள். உலகம் ஒரு சட்ட நியதிக்குள் இயங்க உதவுபவர் வருணன். மேலும் கடல், நீர் நிலைகள், மழை ஆகியவற்றுக்குப் பொறுப்பானவர். இந்திரன் கிழக்கு திக்குக்கு அதிபதி, வருணன் மேற்கு திக்கிற்கு அதிபதி. மித்ரன் என்ற ஒளிக் கடவுளுடன் இவர் ஜோடியாக வைக்கப்படுகிறார். வேத மந்திரங்கள் இவரை மித்ரனுடன் சேர்த்துப் பாடுகின்றன. இது பழந் தமிழர் நம்பிக்கையுடன் மிகவும் பொருந்துகின்றன. வருணனின் வாஹனம் சுறா மீன், முதலை அல்லது கடல் மிருகம். மித்ரன் வருணன் ஜோடியை அறிஞர்கள் ஒளி/இருள் என்றும் சூரியன்/சந்திரன் என்றும் ஆக்க சக்தி/அழிவு சக்தி என்றும், உற்பத்தி/மறைவு=சூரிய உதயம்/அஸ்தமனம் என்றும், கிழக்கு/மேற்கு என்றும் வியாக்கியானம் செய்கின்றனர். அதாவது ஒரு மின்சார பேட்டரியில் உள்ள பாசிடிவ்/நெகடிவ் போன்றவர் மித்ர- வருணன் ஜோடி. தற்காலத்தில் பிராமணர்கள் நாள் தோறும் மூன்று முறை செய்யும் சந்தியா வந்தன மந்திரத்தில் வருண வழிபாடு இருக்கிறது. மழை பெய்யாமல் வறட்சி நிலவும் காலங்களில் வருண ஜபம் என்னும் வேத மந்திரச் சடங்கு நடத்தப்படுகிறது. தொல்காப்பியர் தனது பொருளதிகார சூத்திரத்தில் கடலும் கடலைச் சார்ந்த நிலமும் ஆன நெய்தல் நில மக்களின் கடவுள் வருணன் என்று சொல்லுவார். அவர்கள் பரதவர் என்று அழைக்கப்படுவர். ((இலக்கியத் திருடர்களுக்கு அன்பான வேண்டு கோள்: எனது கட்டுரைகளைத் தாராளமாகப் பயன்படுத்துங்கள். ஆனால் லண்டன் சுவாமிநாதன் எழுதியது என்றோ , அல்லது பிளாக் பெயரையோ தயவு செய்து போட்டு தமிழுக்குத் தொண்டு செய்யுங்கள். தமிழ் எழுத்தாளர்களுக்கு துரோகம் செய்யாதீர்கள்)). பொருள்: பரதவர்கள் சுறாமீனின் கோட்டினை மணலில் நட்டு மலர் மாலை சார்த்தி வணங்கினர். அதில் தெய்வம் ஏறியதாக நம்பினர் பவுர்ணமி நாட்களில் இதைச் செய்வர். பனங்கள்ளையும் நெற்கள்ளையும் அருந்துவர். மீனையும் இறைச்சியையும் கடவுளுக்குப் படைப்பர். வாரணம்= கடல் என்ற வடமொழிச் சொல்லும் வருணன்= கடல் தெய்வம் உடன் தொடர்புடையது. மேற்கூறிய சங்க கால பட்டினப் பாலைப் பாடல் ரிக்வேத கருத்துடன் மிகவும் அணுசரணையாக இருக்கிறது: 1. பரதவர் என்போர் ரிக்வேத பரதர்களுடன் தொடர்புடையோராக இருக்கலாம் 2. வருணனின் வாகனமான மகரம் (மீன்/முதலை/சுறா), கடலோர பரதவர் வழிபாட்டில் இடம் பெற்றது 3. வருணன் ஒரு கடல் தெய்வம் என்பது ரிக்வேதத்தில் பல இடங்களில் வருகிறது; தமிழர்களும் கடல் தெய்வமாகவே வணங்கினர் 4. முழு நிலவுக்கும் இரவுக்கும் வருணனுக்கும் உள்ள தொடர்பு வேதத்திலும் உள்ளது. வருணன் என்பவன் சோமனுக்கும் அமிர்த்துக்கும் அதிபதி. சோமன், அமிர்த கிரணங்கள் என்பது சந்திரனுக்கும் சோம பானத்துக்கும் பொருந்தும் 5.தொல்காப்பியரும் வருணன் என்ற அதே வடமொழிப் பெயரைப் பயன்படுத்துகிறார்.. மழை என்பது கடலில் இருந்து மேகமாக உற்பத்தியாகி பூமியில் பெய்கிறது என்ற கருத்து வடமொழி, தமிழ் மொழி நூல்களில் நூற்றுக் கணக்கான இடங்களில் வருகிறது. மழை இல்லாது போனால், இந்த பரந்த உலகத்தில் தானம் கொடுத்தலும், தவம் செய்தலும் இல்லாமல் போகும். மேற்கூறிய இரண்டு குறட்பாக்களில் வள்ளுவன் கூறும் பூஜை என்ன? விழா (க்கள்) என்ன? வருண வழிபாடு, இந்திர, வருண விழாக்கள் என்றால் பொருத்தமாகவே இருக்கும். கடவுள் வாழ்த்துக்கு அடுத்தபடியாக வான் சிறப்பை வைத்ததற்கு இதை விட வேறு விளக்கம் என்ன இருக்க முடியும். தென் கிழக்கு ஆசிய நாடுகளில் இன்றும் இந்திர விழா பல பெயர்களில் ( நீர் விழா, மழை விழா) கொண்டாடப் படுகிறது. தமிழில் பரிபாடலில் மேலும் பல நீர் விழாச் செய்திகள் உள்ளன. தமிழர் கலாசாரம் வேறு, ஆரியர்-திராவிடர் வேறு என்பவர்க்கு தொல்காப்பியரும் வள்ளுவரும் கொடுக்கும் பதிலைத் தவிர வேறு பதிலும் தேவையா?